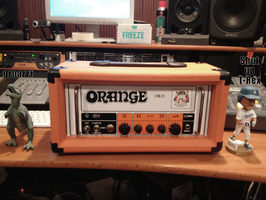 OR15H Reissue, Tube Guitar Amp Head from Orange in the OR series. 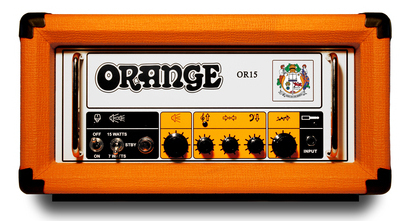 Every day that goes by it is more obvious that the famous Orange Tiny Terror turned the guitar amplification market upside down. 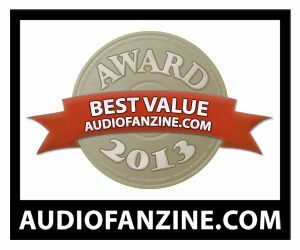 It started a trend (a very positive one, if you ask me) for affordable, high-quality and low-power amps. 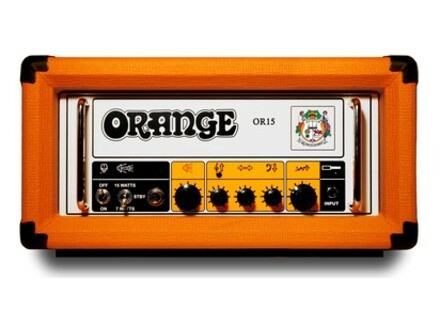 In spite of the huge number of products in this segment, Orange is still the leading player when it comes to low-power tube amps. As you surely heard, this is not a crystal-clear world in spite of the glittering high frequencies. You get a typical British character consistent with the personality of this head, which is definitely dedicated to hot sounds. 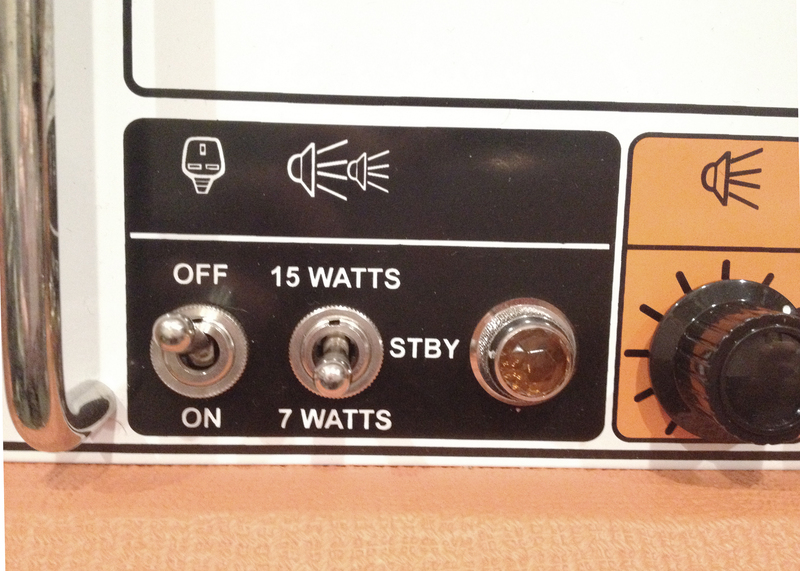 To really grasp this just try the amp with a very simple setting in 15-watt mode: drive at about 10 o'clock, flat EQ and the master control 3/4 of the way up. 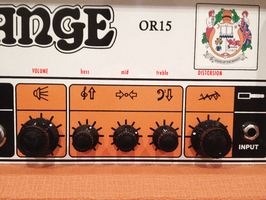 The OR15 will immediately put things in place with a fat, dynamic and rich sound. 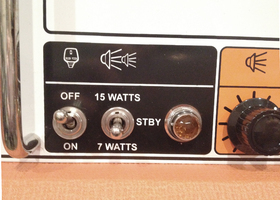 The gain control is one of the best I ever had under my fingers: above 12 o'clock, every signal sounds like hell on earth, desolation and nuclear war. You can get really crazy distortions and very convincing metal sounds with the right EQing. 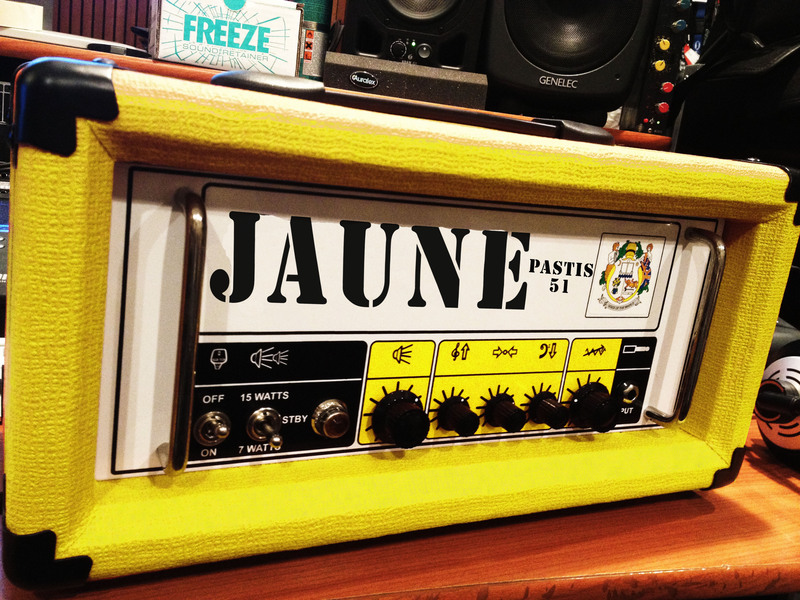 Pinch harmonics scream easily while palm-mute playing shakes the walls! But, even if the amp gives excellent results for "hairy metal," the real beauty of this amp head comes through with more classic settings that have more mids and less gain. 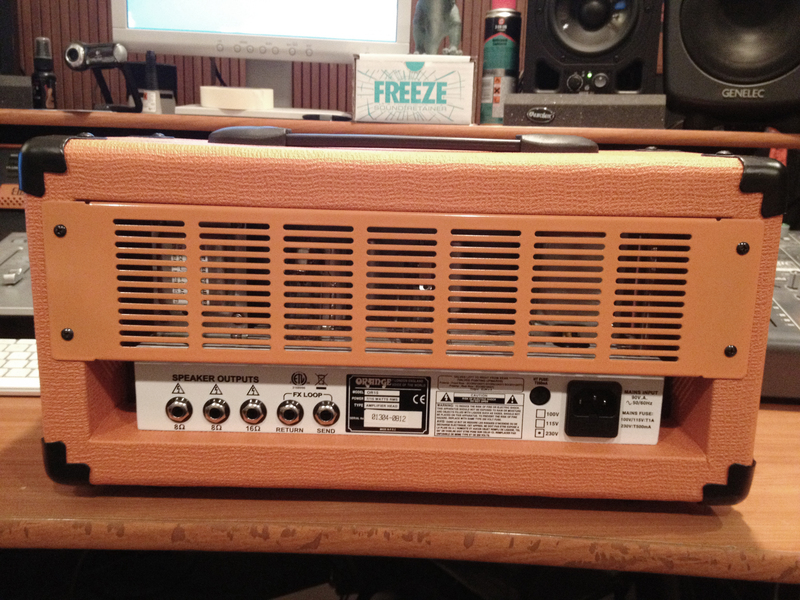 To me, this is where one can best appreciate the qualities of this amp head. The tone can be creamy or aggressive, but never annoying, always expressive. A real delight! And if you are a wild musician, just try to crank up all settings and you'll discover that... the result is pretty interesting!